Steven (Chicagoland, United States) on 3 November 2010 in Art & Design and Portfolio. The shot I was waiting for! Great handling of difficult lighting. The blue reflecting off the wood adds to the beauty of it! This is psychadelic, what a vision !!! This barrel organ is............. divine. B E A U T I F U L... love the details your photo brings us.. superb. Whoa this looks psychedelic!! Man what a fantastic photo, Steven! I am enjoying these images immensely...sorry I am so slow in commenting, but rest assured I am viewing all that you do - I love your work Steven! Amazing light in this space. I like the blue light through the stained glass. Blue and gold are really matching. Eye popping color, and I would love to hear the sound of these pipes. wow this is one piece of art stunning! Oh.. my.. [yes] God! This is just amazing, a 10point shot! 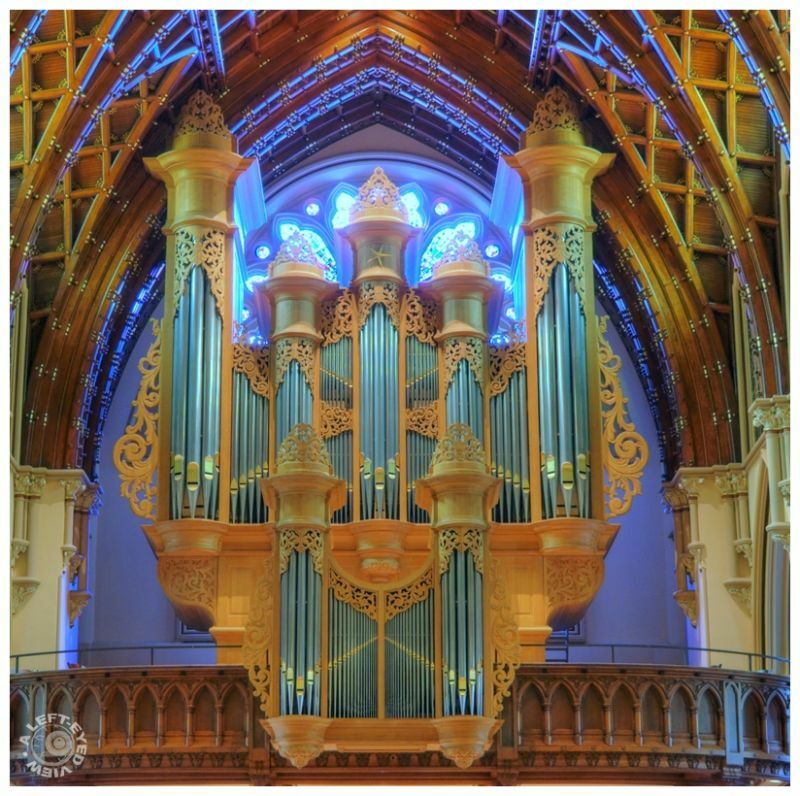 Striking colours in this fancy organ! Super shot!